Oven air frying is one of my favorite methods of preparing food. Enjoy a healthy spin on the traditional eggplant parmesan recipe I share in today’s post. The biggest problem I have with owning an oven air fryer is not eating too much. 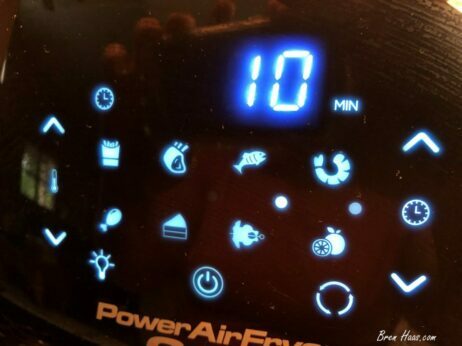 The oven air fryer cooks the food as if it were in the deep fryer only with no added fat/calories. 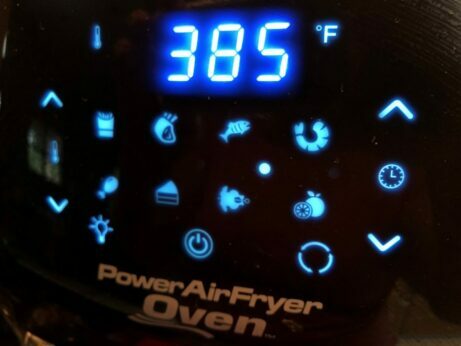 If you don’t have a Power Oven Airfryer use my review link that will take you to Amazon below to get one! You can also do this same method in your oven but don’t expect it to be crunchy like in the Power Oven Airfryer. Wash and slice medium eggplant. Beat 1 egg in a bowl for dipping - sit aside. Mix the breadcrumbs and Parmesan in a bowl. Dip eggplant slice in the egg and then the breadcrumb mix - be sure to drip off excess egg before placing on oil sprayed oven air fryer rack. place the eggplant slices on rack in oven air fryer for 15 minutes at 385*F.
While eggplant is air frying prepare noodles and have sauce ready to go! Once eggplant is done serve immediately on top of the noodles and sauce. Inspired by my garden to create this recipe! 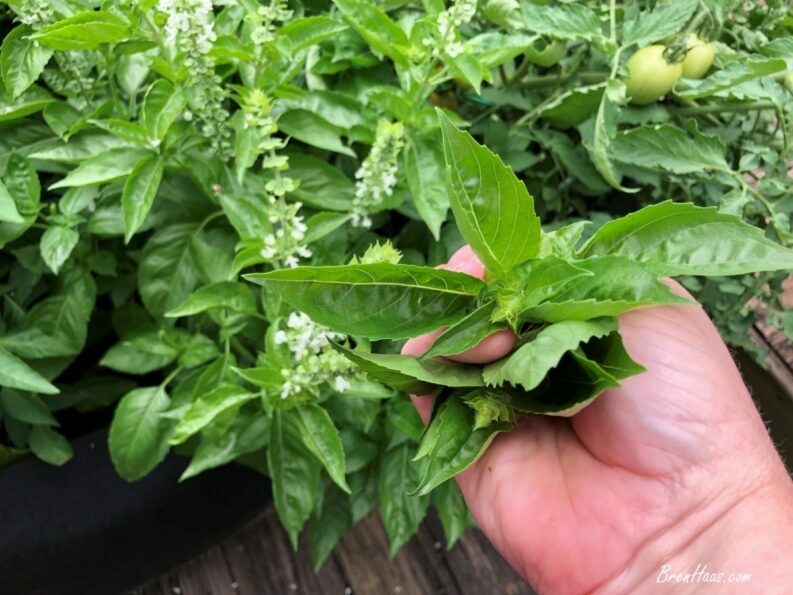 Below are a few of my favorite ingredients from the garden to use in this recipe. 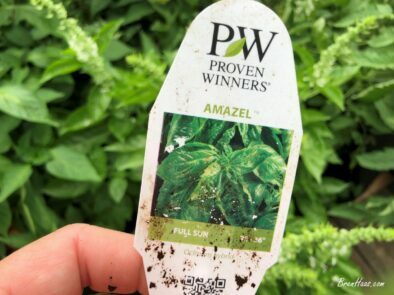 In today’s feature, I have new basil I am trailing in my garden this summer by Proven Winner. 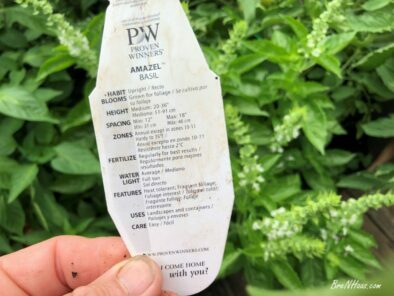 It is a super fragrant grower and is performing very nice in my super dry summer garden. I highly recommend patio/ container eggplant varieites for this recipe. The great thing about using a patio or container garden eggplant variety is you will not have to soak the slices in salt water to get them to tenderize. The new varieties are perfect as is! A few patio eggplant varieties I recommend are FairyTale, Rosa Bianca, and Shooting Start. Photos in the kitchen while creating fun meals is one of my favorite things to do. Here are a few images that I hope will help you create this recipe for your family and friends. I made it easy for you to share this on your favorite Pinterest Board! Just click on Pinterest link and share this image below. Find me at @brenhaas over at that search site. I can’t wait to cook with you. You are invited to connect with me by leaving me a message on my contact page featured on this site. Social media is my thing so be sure to reach out on your favorite network below. 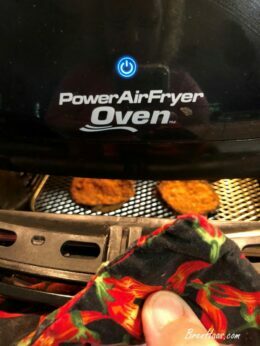 Excited to hear if you used this recipe or if you are being creative with a Power Air Fryer Oven. The cheese goes in the bread crumbs or you can sprinkle on top of the dish when it is complete!